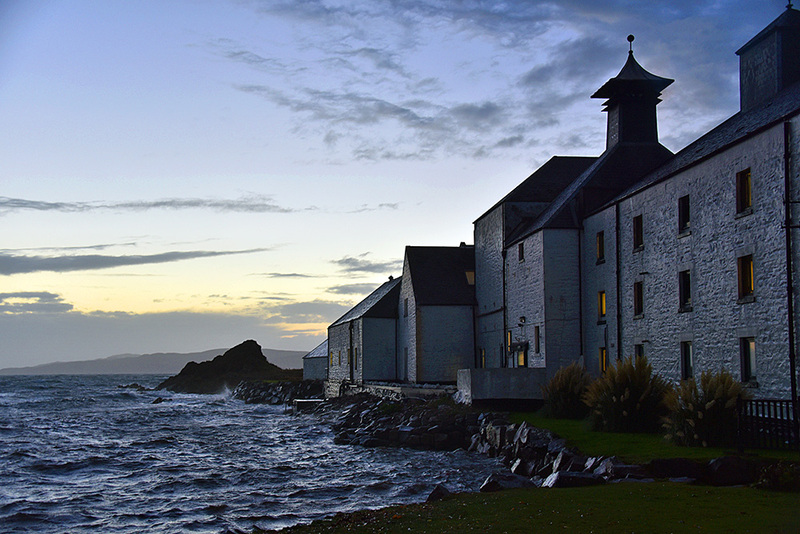 A view of Laphroaig distillery on the south coast of Islay on a November evening just after sunset. The maltings are reflecting the mild evening light after a stormy day, the Oa in the distance. This entry was posted in Cloudy Weather, Distilleries, Landscape, New Post, Sea Loch, Sunny Weather, Sunset and tagged Islay, Laphroaig, Loch Laphroaig, The Oa by Armin Grewe. Bookmark the permalink. @islayblog @Laphroaig Love the lights in the windows. @sister_ratched @Laphroaig yes, gives it the little extra, doesn’t it? We had a drop of Laphroaig before bed last night! So did I, after picking and editing this picture ready to post this morning.